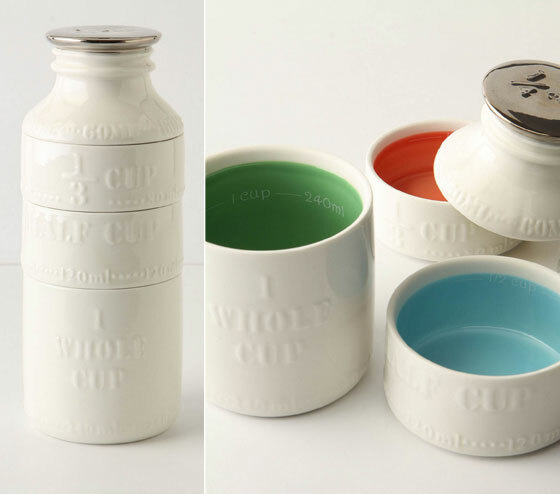 No kitchen is complete without a set of handy and essential measuring utensils. 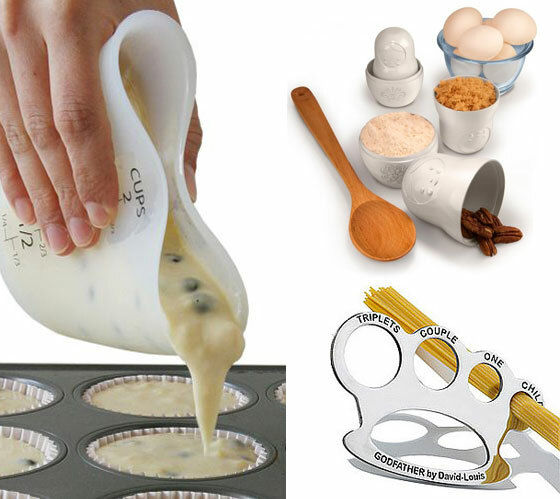 There are so many measuring utensils on the market, Measuring Cup, Measuring Spoons and Measuring Scoop. Some of them are designed especially for certain food, like spaghetti or spices. Take a look at the 11 Cool and Handy Measuring Utensils shown in this post and hope you can find something useful for you. There’s much to love in this handy little tool from the UK’s critically acclaimed Joseph Joseph. But when you get right down to it, for us, it’s not just the waste not-want not means to measuring out pasta for 1 to 4 servings. Or even its compact size. The way it opens and closes with just a slide and glide of the tab. 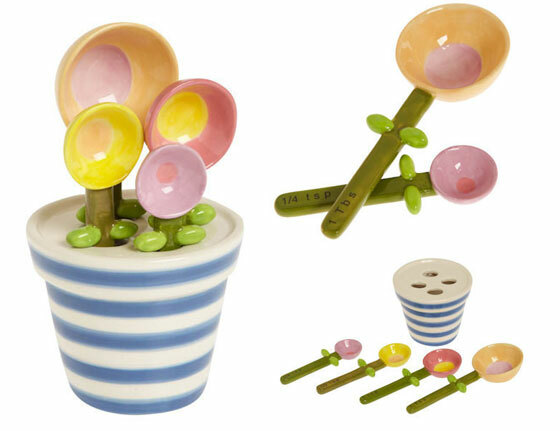 Scoop a little sunshine into your next baking extravaganza with this downright adorable set of four measuring spoons. This solid ceramic set features a unique, blue and white striped pot base, which holds four colorful measuring spoons masked as adorable flowers. Ranging in size from 1/4 teaspoon to one tablespoon, this foursome will cultivate a cheery disposition, whether you’re baking cupcakes or cooking your savory specialty. Adorn your home or apartment kitchen’s decor with this picturesque, functional measuring set,and it will surely grow to be one of your favorite tools ever! 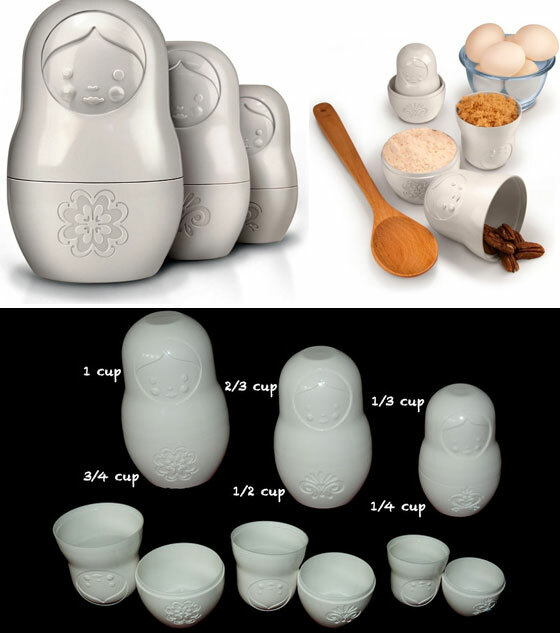 When not on display, this space saving, stackable set separates to do double duty in the kitchen. How’s that for good measure? 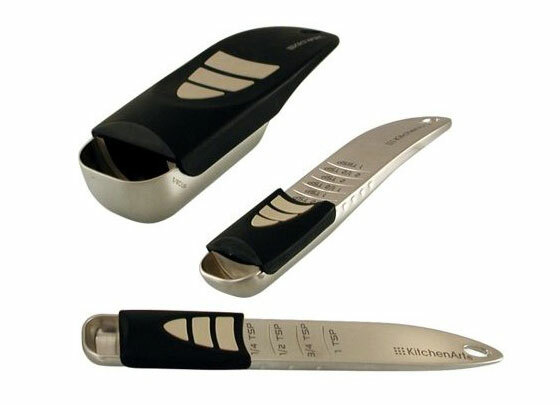 Heat Resistant up to 490 Degrees F.
Set includes 3 measuring cups. 1 cup, 2 cup and 4 cup capacity. The cool new Spice Device is an ingenious replacement cap for spice jars that accurately measures 1/4, 1/2 and 1 tsp of spice directly from the container with no spilling. Just snap it on, choose a measurement by turning the dial, invert to fill the cap with spice, lock and pour. 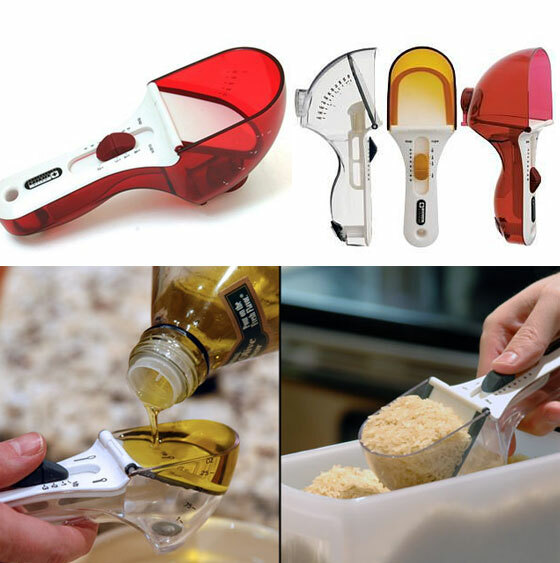 No more guessing, no more mess and no more extra work to clean the measuring spoon. Smart idea. 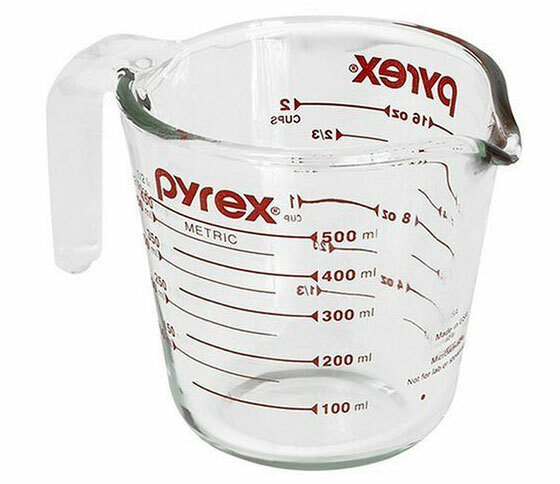 It’s called a NusCup, and what it is is a.. sort of measuring cup. 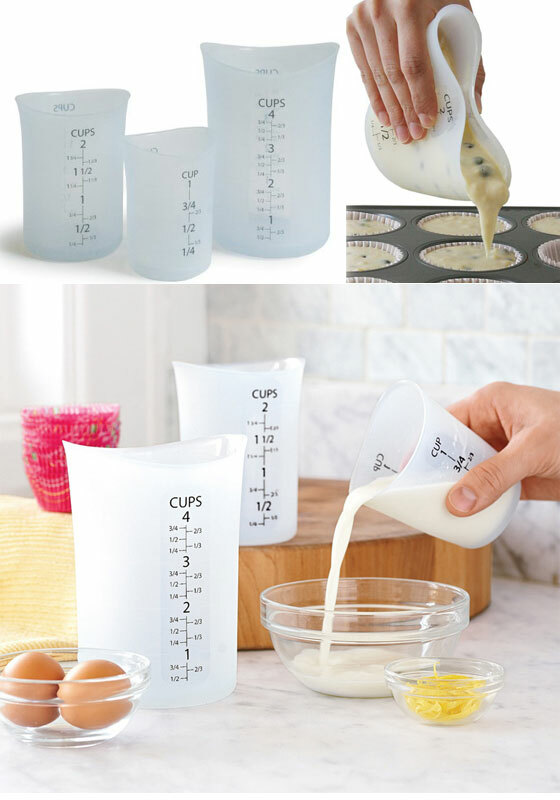 One that can measure cups (1/2 cup, 1/4 cup etc), tablespoons, milliliters AND ounces. It has a slide thingy that you push back and forth, and thus changing the capacity of the cup. It’s extremely cool, and for all of those who like me, enjoy recipes from other countries and don’t want to bother with conversions – it’s a godsend. The Cook’s Pro Gift Set includes a 1/2 cup adjustable scoop, adjustable tablespoon and adjustable teaspoon all in a fashionable champagne satin finish. Another cool Spaghetti Measuring tool. 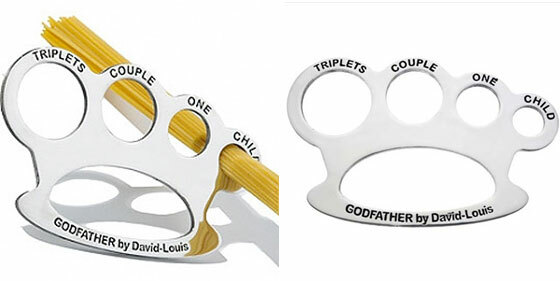 Unlikely the first one, the Godfather Spaghetti Measuring Device($50) looks like brass knuckles. The measuring holes for child, one, couple, triplets and many…(Do your math! It can measure the Spaghetti for 7 person at one time) Designed by David-Louis. Play with Paper Cartoon Character?